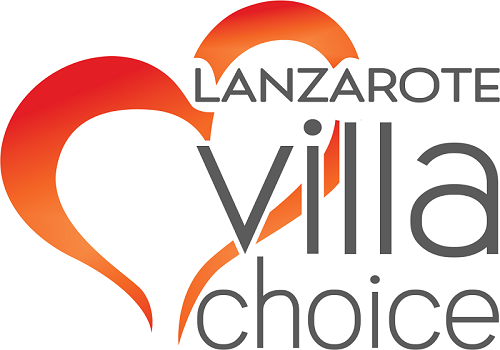 If you are looking for a villa holiday in Puerto del Carmen but need some more information about the resort we have gathered some facts below to help you make your choice. Originally a small fishing village, Playa Blanca has rapidly grown over the last ten years. Situated in the south of the island, the resort boasts the island’s warmest temperatures and views over the neighbouring islands of Los Lobos and Fuerteventura. Centred around the small town beach, pedestrianised area and promenade, there are a good selection of spanish and international restaurants, shops and supermarkets. The harbours sits to one side with two ferry companies providing a 25 minute ferry journey to Corralejo on the neighbouring island of Fuerteventura. To one side of the town centre is Playa Flamingo Beach and on towards Faro Park. In the other direction is the beach of Playa Dorada, Rubicon Marina and Papagayo beaches. Marina Rubicon is an exclusive marina just outside of the town centre of Playa Blanca. Opened in 2003, the marina has a small shopping area which is devoted to designer shops and a selection of restaurants and bars overlooking the 500 berths. There is a local market selling mostly artisan goods every Wednesday and Saturday morning. The Marina Rubicon village boasts Padel and Tennis courts, Diving and Sailing activities. The marina is easily reached from the town centre along a seafront promenade and is a pleasant 2km walk, local bus or taxi. Faro Park is situated towards the western end of Playa Blanca near the Faro de Pechiguera Lighthouse. Although technically Faro Park is just one urbanisation in this area, this whole area is now known as Faro Park . A largely residential villa area with most properties being holiday homes or holiday rentals. There a a couple of bars and a supermarket in this area. The centre of Playa Blanca is approximatley 6.km away and can be reached by local bus, taxi or hire car. A small sandy beach in front of the central promenade. Ideal for familes and great for children. All the amenities of the resort are on hand. popular with locals and great for families this white, sandy beach is protected by groins . Next to the quieter section of seafront promenade but with a couple of local restaurants serving snacks, tapas, fresh fish, refreshments and ice cream. Sunbeds and parasols are available for hire. A large Blue Flag beach, Playa Dorada has a restaurant and snack bar with toilet facilities. Sunbeds and parasols are available for hire. Several unspoilt, white sandy beaches located within the Los Ajaches Nature Reserve. To help maintain and preserve these beaches, a small charge (currently 3Euros) is levied to drive via a track to a parking area. Sheltered from the predominant wind direction, it is a popular beach with locals. Suitable for nudist sunbathing. There is a small bar on the hillside to buy drinks and snacks. Both are situate in the centre ofPlaya Blanca near the bus station. A mixture of clothes stores, perfumeries and bazaars for souvenirs. The centre has a selection of traditional fish restaurants, Spanish cuisine, Chinese, Indian, Italian, Mexican, fish restaurants, tapas, pizza bars and snack bars. A mixture of English and German bars offering TV and sport channels, also snacks. There are also lounge bars, music bars and cocktail bars. Most are situated in the town centre and next to the harbour in the Punta Limones Commercial Centre. There is a cocktail Bar and Chill Out bar in La Mulata Commercial Centre heading towards Faro Park, near the Natura Palace Hotel. An interior bus line runs on a loop around the resort. The main bus station in Playa Blanca is near the town centre. There are 2 Water Parks in Playa Blanca; Aqualava at Hotel Lanzasur and Dino Waterpark at Hotel Paradise Island. Ranco Texas in Puerto del Carmen has a small water park, zoo with animal shows and also offers evening BBQ excursions with full entertainment programme. Crazy Golf, bike hire, car hire, trampolines, amusement arcades.